San Diego, where blue skies keep watch over 70 miles of majestic coastline and a gentle Mediterranean climate and friendly locals create a welcoming vibe all its own. San Diego, the eighth largest city in the country, is often referred to as “America’s Finest City” and for good reason! Known for its great accommodations, beautiful weather, pristine beaches, friendly people and a plethora of entertainment, San Diego is a favorite travel destination for visitors across the globe. This great city has a huge variety of attractions in exactly the right locations. 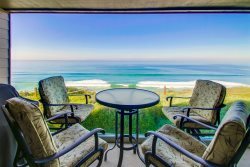 From expansive sandy beaches, rocky cliffs, reefs, tide pools and everything in between, the beaches in San Diego are as varied as the California beach towns that were built around them. Discover beaches perfect for families and dogs, beaches coveted by the world’s top surfers, or to enjoy a fire, play volleyball, spot sea creatures or simply relax and people watch. One thing’s for sure, on any given day at any beach in San Diego, you’ll find a front row seat to a magnificent display of the western sky as the sun descents into the Pacific. So grab your beach towels, slather on the sunscreen, and get out to explore some of the finest beaches in the world! For families ready to get out and explore the wonders of the world you can't beat a visit to the San Diego Zoo, SeaWorld San Diego, or the San Diego Zoo Safari Park. There are also a handful of fun San Diego theme parks to get your heart pumping and adrenaline rushing. San Diego is home to many of Southern California's top tourist attractions which provide exhilaration, education and excitement for adults and kids of all ages. San Diego's close proximity to Anaheim also makes for an easy day trip to Disneyland.